This auction is for a large two ounce starter culture of banana worms. Widely cultured and used as a first/second food for fry of many species of freshwater tropical fish. This is a healthy, sizable culture that is used to start mother cultures that are ready to feed in short order. Banana worms are similar to walter worms but more prolific, with a very rapid doubling time.They are also smaller than micro worms and share the wally worm's ability to stay alive in tank water longer than micro worms. After a few days of walter/banana worms, very small fry are able to progress to micro worms and then over the hump to newly hatched brine shrimp. Even newly hatched larger fry like cichlids benefit immensely from a few days of walter/banana and micro worms. 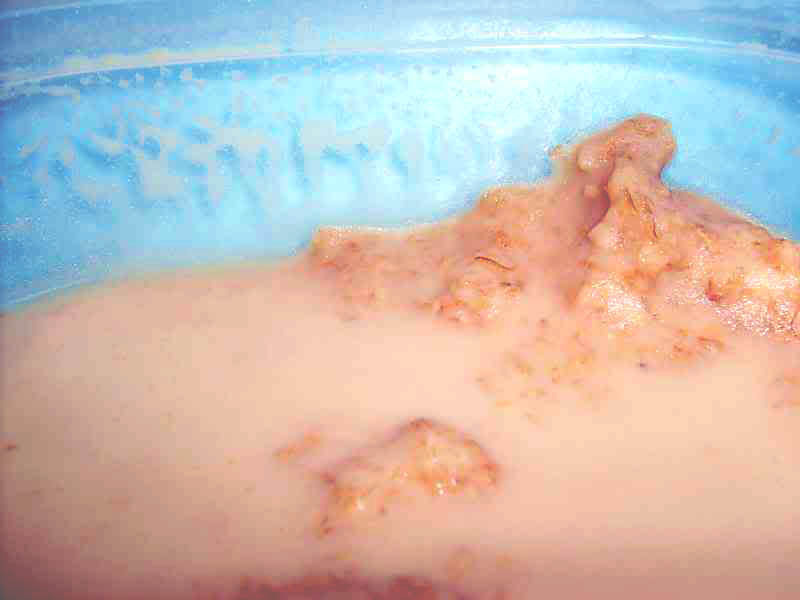 These nematode worms thrive in a simple culture medium of oatmeal enriched with a small sprinkle of active baker's yeast - supplied with your starter. Room temperature up to about 85 F is acceptable, and within days of starting your cultures with our large starter portion the surface of your cultures will shimmer with worms. With minimal care there will ALWAYS be enough worms on hand for all the fry you can produce. The white areas on the sides of the culture below are many thousands of nematode worms. 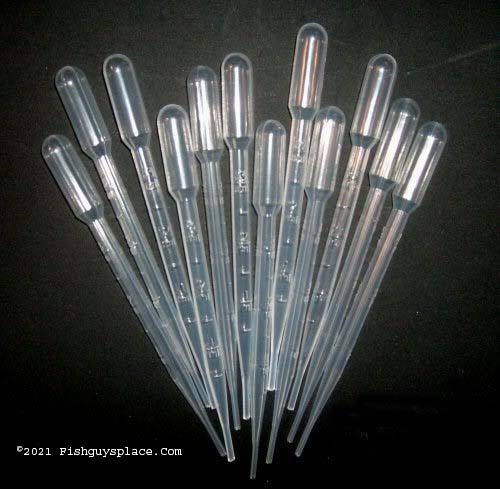 These heavy duty - and most importantly wide barreled - six inch long pipettes are graduated in 1/2 ml increments up the 3ml stem and hold a total of 7ml. They have multiple uses in any fish room or breeding setup. They are handy for dispensing medications, transferring fry and eggs (just snip the tip wider with a pair of scissors), delivering small foods right to the fry that need them without spreading them all over the tank, and a whole host of other applications. First Class mail shipping anywhere in the US/Puerto Rico is an affordable $3.00 - This item is not available outside the US/Puerto Rico.